Mulberry trees have been grown in the UK dating back to Roman times but there are a large number of misconceptions about them. Firstly some truths, they are beautiful, large trees often reaching over 15m high depending on the variety. Aged examples display stunning gnarled and contorted branches. As far as the fruit goes, one species is king for flavour, Morus nigra, commonly called the black Mulberry. White and red Mulberry fruits are most definitely second class and simply aren't sold in the UK for their fruit. In 2017 the RHS gave a new hybrid type of Mulberry, 'Charlotte Russe', the title of Chelsea Plant of the Year. The plus points for this new tree was that it fruits on old and new wood, producing fruit in as little as a year after planting. Your normal Mulberry tree would take about eight years from an initial cutting to produce fruit. Even more dramatic is the fact that 'Charlotte Russe' is naturally dwarfing, growing to an average height of only 1.5m / 5ft making it ideal for small gardens and container growing. But the RHS forgot to do the one thing which actually mattered, taste the fruit! The plant supplied to them had only unripe fruit on it and unripe mulberries are notoriously bad tasting. In fact, there is an art in harvesting mulberries at exactly the correct time to get that ever-so-fruity taste. How could the RHS do that you may ask, I have also asked the same question? But there is not one single mention of the flavour of this new hybrid reported in 2017. Possibly because no one at the RHS had ever tasted the fruit in the UK? As at 2018, the only UK supplier of Mulberry 'Charlotte Russe' is Suttons. Their only reference to the taste of this variety is a mere two words - "great tasting". That's it, literally! Lots of superlatives about its size, its speed of growth etc. but only two words about its taste. The cost of this new variety (only available through Suttons) is £17.99 plus £4.99 postage, totaling £22.98. And that's for a tree (if you call it a tree) which is 20cm / 8in high! That is truly, gob-smackingly, incredibly expensive, especially so because mulberry trees (including this variety) root almost 100% of the time from cuttings - propagation is almost foolproof. Well, we have bought one, purely on the basis of maybe saving you the expense if it doesn't prove to live up to expectations. But maybe it will, who knows? So expect an update to this article in 2018. If you have bought a Charlotte Russe mulberry and would like to leave your comments about it then please scroll to the end of this article, read comments from others and then send in your own. Suttons don't state the full Latin name for this variety on their sales website, they simply call it Mulberry Bush Charlotte Russe. This is significant to us because from time immemorial, the only Mulberry tree fruit worth tasting is from the Morus nigra or black Mulberry. The other varieties are simply also-runs by a large margin. We strongly suspect that Charlotte Russe is not a Morus nigra, it may be a one in a million chance interspecies hybrid, possibly between Morus nigra and a white Mulberry. But that seems very unlikely (if not impossible) because of the genetic make up of Morus nigra compared to other Mulberry varieties. Genetically, Morus nigra has 308 chromosomes whilst other Mulberry trees have only 28 chromosomes making hybridisation between the two almost impossible. The Latin name of Charlotte Russe would seem to be Morus rotundiloba. "When totally black they are juicy and taste very sweet but have absolutely zero flavour. When picked juuuuust before all the red vanishes they taste like a memory of mulberry, but have a slightly odd rubbery texture and not much in the way of juiciness". Certainly, I will report back in 2018 with my own impressions. For others who have purchased this "tree" from Suttons I would be extremely grateful to receive your comments / questions. There is a form at the end of this page where you can send them to us. The Muberry Charlotte Russe arrived from Suttons in a commendable six days after ordering and you can see below how it looked after unpacking it. Yes it does look a bit bedraggled but at this stage of year it should really be dormant so its appearance is not out of order. What is rather surprising is the very small size of the tree given that it cost £22.98 including postage. Expect the next update in late February to early March when we pot it up. In the meantime, we will keep it outside but in a protected position and against a house wall. All the fruit trees on my allotment are bursting into life now, except one, the Mulberry "Charlotte Russe" from Suttons. I won't consign it to the compost heap just yet but to me it looks as dead as a dodo! No sign of any buds at all. Very disappointed. I will give this tree a couple more weeks and if there is no sign of growth I will be asking Suttons for a refund. I will keep you updated. The "tree" has been consigned to the compost heap, a complete waste of time. COMMENT: I bought 2 Charlotte Russe last spring. As they were described as fully hardy they remained outside over the winter, and anyway I had planted them in the ground. So far this year April 2019 the branches are bare, no leaves, just some stunted looking buds. COMMENT: Following on from earlier comment, I chased Suttons, was told they had responded but I didn't receive the e-mail. Anyway, on complaining that cold had damaged the too early emerging fruit spurs and leaves was told it would probably recover and if not would be replaced. It is recovering but has been severely checked and I suspect will not fruit this year. Still considering travelling to Paignton for replacement. - Very disappointing. COMMENT: All seemed o.k. Leaves fell earlier than 'normal' i.e. before Autumn. Now buds are breaking - in December!? Have queried with Suttons but no response apart from acknowledgement to date. COMMENT: I bought the Charlotte Russe mulberry as soon as it was available and I was very excited because I'd tasted mulberries from a large tree growing in a local park and they were really delicious. My Charlotte Russe did indeed fruit on the first year and quite prolifically but to my disappointment the berries tasted really bland and nothing close to the black mulberry tree I tasted in the park. I certainly wouldn't advise anyone to buy one. Let's hope that the tree breeders who developed the Charlotte Russe can do more and get a great tasting mulberry on a dwarf tree. COMMENT: I ordered a Charlotte Russe Dwarf Mulberry bush/tree in mid Spring this year. It looked terrible when it finally arrived a couple of Months later. I paid £19.99 plus almost £5.00 P+P. I potted it in a reasonable sized pot for it's size ( small and pathetic). It started producing healthy looking Leaves, then about 10 fruits. They turned red, but when they got to the black colour they should have been - they started dropping off, even though it was in a sheltered spot, against a South facing wall. I tried one of the black berries and it tasted disgusting and an inedible texture. I thought maybe it was only the first year, so I'd try it next year and hopefully get good fruit. But after reading all the comments, I feel bitter with Sutton's who I purchased it from, with the same promise it would bear lovely fruit in the first year. I'm absolutely appalled with Sutton's misleading the public and think I too should get a full refund. They're more than welcome for me to return the plant, but they can pay the P+P that I spent on a dud Mulberry. COMMENT: Plant arrived as a twin branched twig in 2017, but now is decent spreading specimen covered in berries. My only concern is that the black ripe berries taste vile, not like a Mulberry at all! I would like to think that perhaps now is too late in the season for mature berries and they need more warmth and summer sun to sweeten, anyway we will see what next summer brings. COMMENT: Found this site whilst hunting for pruning tips. I bought mine in spring, it's grown a lot in a large pot. No sign of any fruit and as it's loosing its leave I wondered how to prune and whether to bother to carry on with it next year? COMMENT: Bought my Charlotte ruse early 2018 and potted it in large garden pot with John Innes no 2 and organic veg compost plus Q4 pelleted plant food. 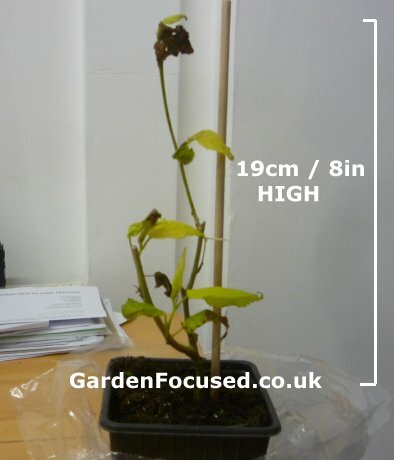 Had plant in garden over summer and it looked reasonably healthy if a little slow to leaf and increase in size. At the end of July I started noticing several mullberry fruits appearing but not really increasing in size or changing colour from green. In September I brought plant inside my south facing conservatory and water it once a day and bam! All of a sudden I'm counting approx 70 mullberry's and the largest ones are starting to turn red. More leaves are appearing and looking a lovely light green. I know people have described the flavour as bland but I can't wait to try, I'll post results when they are ripe enough to eat. REPLY: Do keep us updated because a few have produced fruit but so far not a single person has liked the taste. COMMENT: It's fruited this year ( second year). I sheltered the "Mulberry" in a cold conservatory winter only. We've got about 30 small, 2cm long fruits, the fully ripened black ones have very little flavour, the red ones have a slight sharpness but not mulberry flavour. Both are a strange marginally gritty/rubbery texture. I'd agree that these taste nothing like a "proper" Mulberry fruit. COMMENT: Had Sutton's mulberry delivered in spring. We now have a thriving bush with loads of red berries. Don't know when they will be edible but happy with progress so far. I will advise progress. Wiltshire. COMMENT: An update on my mulberry. It is now 4 foot high with a mass of small fruit. Hoping it survives this winter outside. QUESTION: I've now seen my Mulberry through two seasons and am thoroughly disappointed, plenty of leafy growth this year, two mulberries which did not ripen and were small compared to the "real" thing. I'm thinking of writing to Sutton's for a refund, any thoughts? RESPONSE: From the feed back I've had so far I have not heard of a single person who has harvested any decent fruit from this variety of tree. Either the tree dies or it lives but, like you, produces no useful fruit. I would ask for a refund because the tree is not fit for purpose. COMMENT: I bought the Mulberry Charlotte Russe last year. The plant itself has grown well, it is in a pot and I put it in the greenhouse over the winter. My problem is the fruit, both last year and this year it has had about 8 very small fruit, too small to eat really, Suttons say it should fruit all summer, I have been feeding it but no more fruit! COMMENT: I was given one as a house warming present when I moved last June, planted it in the garden in about August and pruned it fairly heavily at Christmas time. It was dormant over the winter, but came back to life in April, now have a lively wee tree/bush standing about 1m high, with lots of new foliage and many berries ripening. Not sure about their flavour yet. COMMENT: Mine was in a large pot last September. Looked as dead as a dodo this April. Put it in a smaller pot in the greenhouse. Watered it. Sprayed the sticks. It is now going great guns. Doesn't seem to be hardy outside. COMMENT: Ordered mine as soon as they were announced last year. It fruited like mad on the windowsill, potted it on twice, then popped it in the ground last August. This year it didn't wake up until about 2 weeks ago. There's a fair bit of die back from an admittedly harsh winter, but it now has half a dozen leaves and has put a couple of inches of new growth on. I suspect a lot of those who thought theirs was dead might just have not been patient enough. The taste of the berries wasn't great last year though, hoping as it ages and now it's in the ground that might improve. One interesting thing is that this year's leaves are much bigger and much darker than last years, one was even more fig shaped that heart shaped. I'm in Durham, maybe further south it'd have broken dormancy a few weeks earlier and not suffered so much from the frosts - we were below -10 here for a few days. COMMENT: Received a Charlotte Russe mulberry as a gift on Monday of this week. By Thursday it looks sick with reddish rust or virus on the leaves. COMMENT: My Charlotte Russe arrived last summer and at first seemed healthy, putting on a lot of growth. This year, though, so far (June) it has precisely two leaves. I have asked for a refund. COMMENT: We bought 2 Charlotte Russe last year and they have grown now to about 3ft and are bushy and bearing fruit. Will wait to see how the fruit tastes when it ripens however. COMMENT: Like others, I bought this plant last September. It's dead. Embarrassingly I bought two others as gifts ! I would love to have this plant but based on the comments from others and my experience it's just not worth it. COMMENT: My Charlotte Russe, purchased last autumn is looking similarly dead, no sign on buds despite Sutton's claiming it fruits from the end of May! Have emailed Sutton's and am awaiting a response. COMMENT: Having seen the mulberry Charlotte Russe at Chelsea last year, I persuaded myself to buy one. Along with many others I now realise, it looks as dead as a dodo, and armed with the feedback, I'll contact Suttons to see what they propose!! COMMENT: I was about to order the mulberry Charlotte Russe and then saw your website. After reading the comments I have decided not to bother. I grew a mulberry from seed brought back from a Greek Island 9 years ago. It grows in a container and is around 4ft high. New growth is bursting from it, as usual. Thanks for your web site - it saved me from making a bad purchase. I'll stick with my home grown mulberry and hope for fruit from it one day. COMMENT: I bought Charlotte Russe last year from Suttons delivered to Dublin in poor shape, badly wrapped soil was completely loose from the rot of plan, planted it on in good compost to date 7/5/2018, no sign of growth. Sent email to Suttons got no reply. 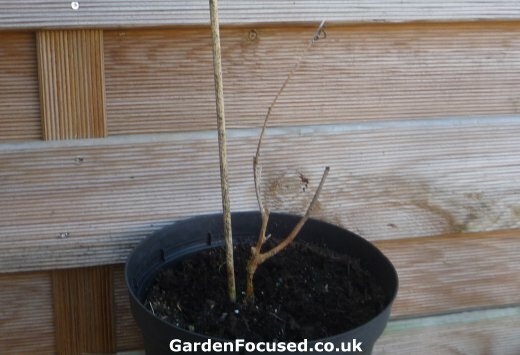 COMMENT: Planted my Charlotte Russe Mulberry Bush two weeks ago, it looked like a lovely, healthy plant. Checked it today, its leaves have gone brown and it looks like it's dying. I don't know why. It's in soil that other fruiting plants are growing happily, unless it's the weather? I thought it was hardy though. ANSWER: Suttons say they are fully hardy in the UK, and that's exactly what you would expect from a fruit tree. I strongly suspect that there is a problem with this tree from Suttons. Ask them for a refund is my advice. COMMENT: BIRMINGHAM regarding this subject I had 2 of the Charlotte Russe delivered last year planted them on the allotment they too don't seem to be making a move the buds look they are drying up and it doesn't seem to be making a move. I was worried about its hardiness and came across this site. It's now approaching the end of April surely it should be making some sort of movement. Will be complaining to Suttons. ANSWER: I agree with you 100%. COMMENT: We purchased 2 of these last year and have had the same issue. We contacted Suttons this week and they are sending replacements out. We ordered another plant a few weeks ago and this looks much better than the ones we originally received. ANSWER: Thanks for that, I will contact them next week. ANSWER: Interesting comment which matches my experience. I also have another reader who wrote to me direct before I added the comment section on this page, Their experience was exactly the same. It will be very interesting to know your experience of how Suttons respond to your request for a refund. Please do let me know how you get on. This website is independent so can't match the number of viewers of the company backed websites such as Gardeners Word but neither are we a small website. If you have no luck with your refund request I will try and take the matter further, using adverse publicity if necessary. Maybe other readers will also chime in with their experiences of Mulberry Charlotte Russe from Suttons. UPDATE: Suttons replaced Tomas's three mulberry trees after he complained.